- The glass between me and absolute beauty. - Roger Ballen can be as (amusingly) freaky as his own images. - Chiara Tocci won the Marco Pesaresi award with a beautiful portfolio about Albanian immigrants. - Independent publishing is up and running in Italy as well, just go and check what Postcart, Trolley Books (well, he lives in London, but he's Italian) and 3/3 do. - Seeing an exhibition of 103 photographs from Joakim Eskildsen's The Roma Journeys is an amazing experience, I rarely saw such a humble way of showing a work: you could flash overblown prints of almost each of those photos, set up an exhibition with one fifth of the images and still pretend you're covering an epic as vast as the one that this work embraces. And yet, he chose the opposite, small prints for attentive eyes, asking the viewer to patiently enter a new world, like Eskildsen did throughout the six years it took him to complete his work. - Steve Bisson can curate great group shows and his website Urbanautica proves it every month. On top of that, he's a new friend, with the rest of the Urbanautica and Landscape Stories posses. - Massimo Sordi, photographer and one of the main curators of the festival, just published a new book, Indian Photographs. - Massimo also curated with Stefania Rössl the second chapter of Global Photography, after last year's debut, which allowed me to be face to face for the first time with work by Karin Apollonia Müller, Tomoyuki Sakaguchi, Mårten Lange and Igor Starkov, among others. 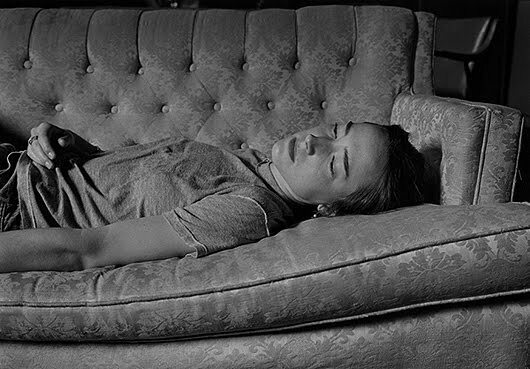 - And, most of all, after having heard about him from many, I discovered Mark Steinmetz and his amazing photography. You develop your taste in photography throughout the years, you pick your favourites, sometimes you also think you have genres you like and others you don't, then you find yourself seeing an exhibition of a kind of images you apparently never really long for, and what happens is that you fall in love with them, mute, with no words to add to them, because they speak for you, in your heart and mind, through your eyes. Intriguing so quiet and meditative.